The mobile gpu race just keeps getting hotter. Ps3 on mobiles in two years. We've only barely gotten accustomed to the performance of the Mali-T400 in our brand spanking new Samsung Galaxy S IIs, and here comes ARM with details of another next-gen GPU. 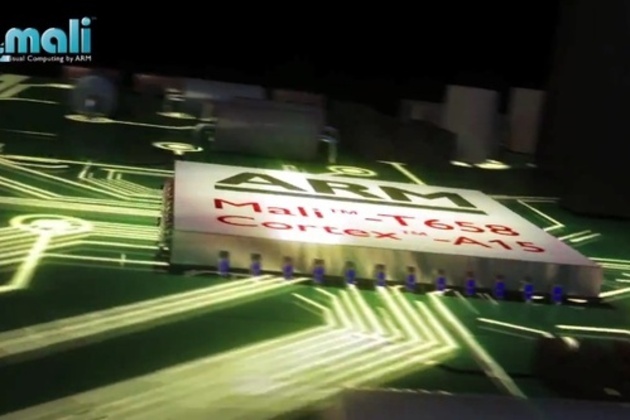 The new Mali-T658 is an up-to-eight-core design that builds on the still-in-production Mali-T604, a next-gen chip itself, offering an estimated four times the compute power of that GPU and ten times the graphics performance of the existing Mali-T400, plus a promise to play nice with ARM's big.LITTLE architecture.